A form of multifocal atrial rhythm at a rate of <100bpm. WAP exists when at least 3 ectopic foci in the atrium generate action potentials that result in ventricular conduction. 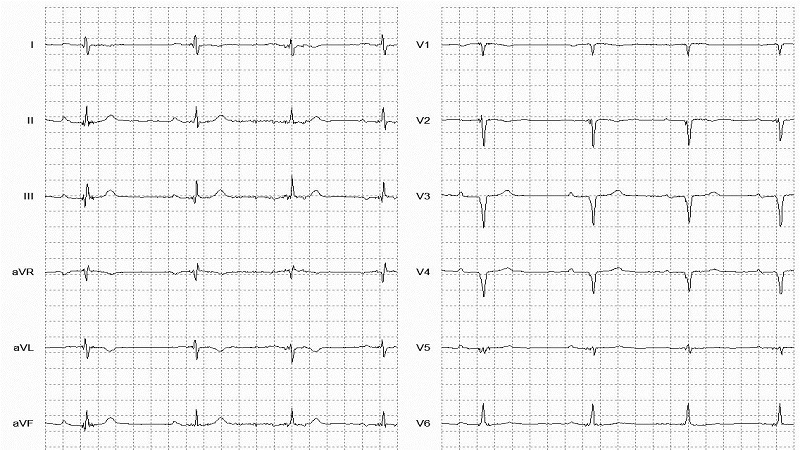 In WAP, each QRS will be preceded by a p-wave (with varying morphologies reflecting varying atrial ectopic foci).